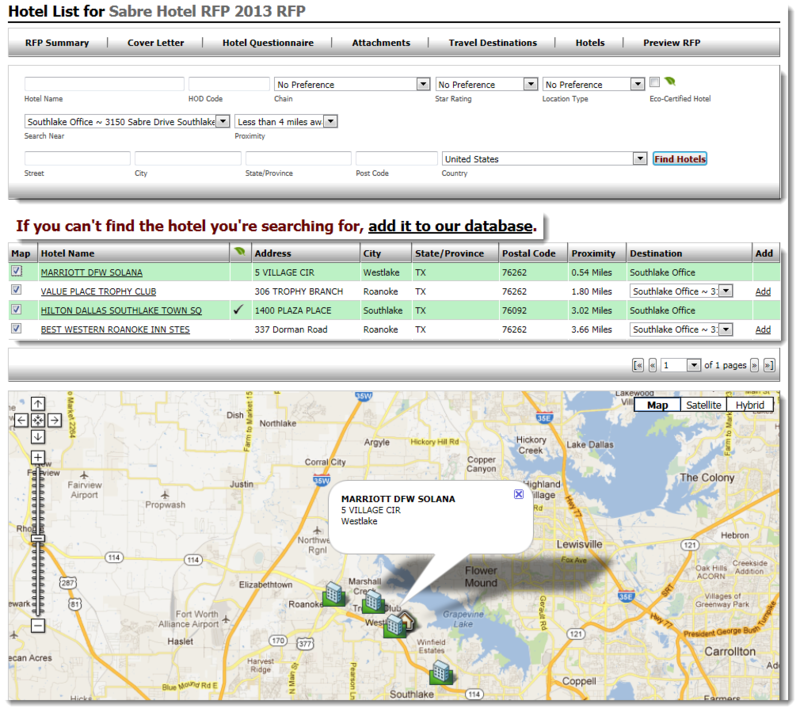 Looking for the best way to manage your negotiated hotel program? Join the nearly 2,700 corporations and travel agencies that have selected the award-winning Sabre® Hotel RFP tool. Sabre Hotel RFP (Request For Proposal) is an online marketplace that unites corporate travel buyers with hotels and chains to solicit, negotiate, finalize and audit hotel rooms rates and amenities efficiently for their corporate hotel programs. In 2016, Sabre Hotel RFP travel buyers initiated over 81 million requests for room nights and rates worldwide - totaling more than $10B in transient room night spend. "I’ve seen many improvements since the BidStork days and the product just keeps getting better. I love the new Support Forums and Training opportunities. Keep up the great work!"